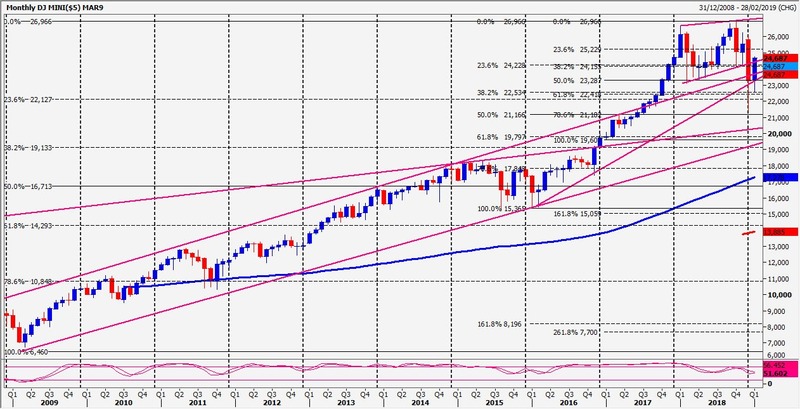 Emini Dow Jones holding first support at 25435/425 targets 25515/525 before the high at 25600/606. A break higher targets 25635/645 & 25680/690. On further gains look for 25720/730 & 25780/790. Downside should be limited but below 25420 could retest last week's high at 25385/375. Longs need stops below 25330. Further losses target a buying opportunity at 25210/190.